Brainstorming names for our Shiba. Its hard to choose just one. 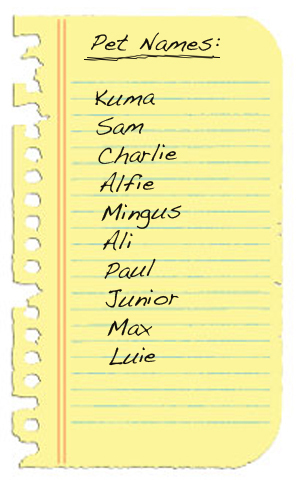 Here are some names we’ve added to our list of possibilities…. Who knows, maybe when we meet him his personality will lead us to a completely different name. But indeed, he could surprise you yet! Looking forward to “meeting” the little guy. 1 vote for Mingus. Check!